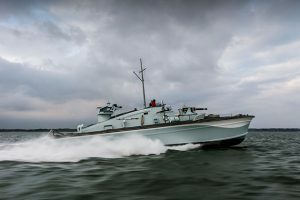 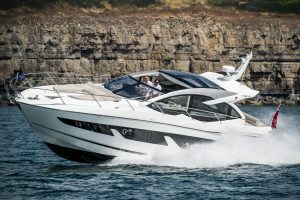 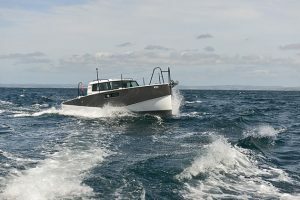 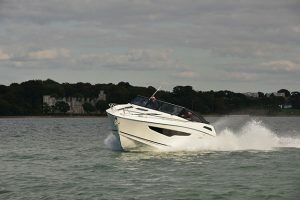 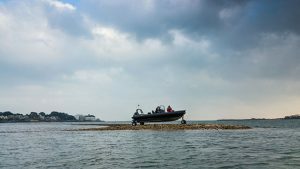 One of our four new British heroes for 2015, the Pearl 65 drives as well as it looks, with Kelly Hoppen interiors, a Bill Dixon hull and a choice of three engine set-ups. 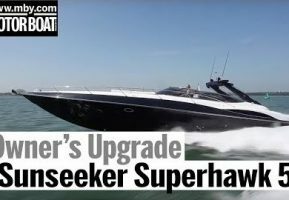 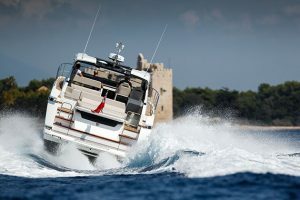 In this video, Jack Haines heads to Puerto Portals in Mallorca to get to grips with the Cummins triple Zeus pod version, which delivers a surprisingly nimble ride for a 65 footer. 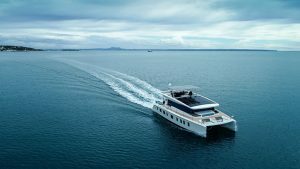 Below the decks, we admire the huge master bedroom and the exquisitely crafted washroom that sets the tone for the rest of the stylish interior. 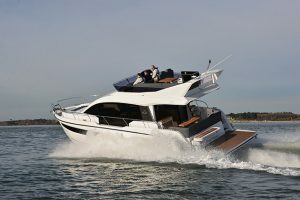 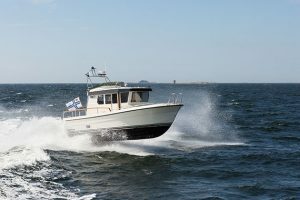 Meanwhile, the flybridge bucks the trend with an aft raked radar arch and a hydraulic canopy, which helps to maintain the boat’s sleek profile. 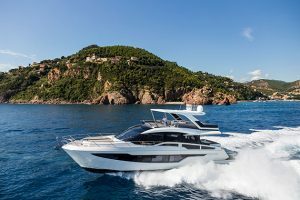 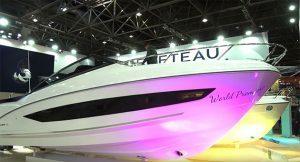 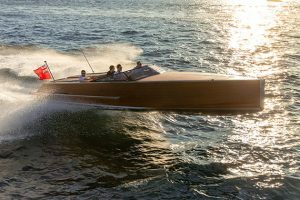 But what really sets this boat apart from the competition is the personal touch that Pearl promises its customers in terms of after-sales support. 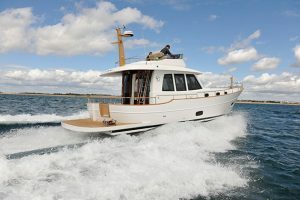 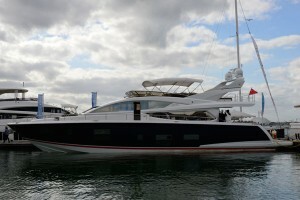 To read our full review of the Pearl 65, pick up the February issue of MBY, which is out today.